The idea of working out has become enormously complicated these days. If you search for the best workouts for women, you’re going to come across 100’s of different answers. It’s so confusing. 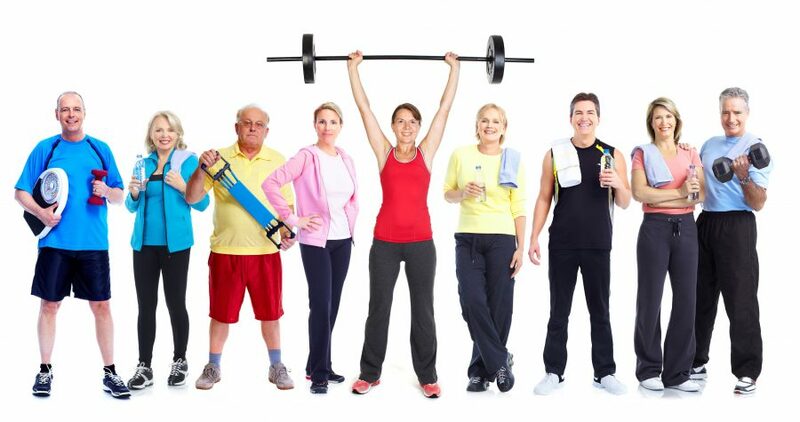 This site is devoted to Baby Boomers building muscle as we age. It’s estimated that fewer than 25% of Boomer women workout regularly. Meanwhile study after study has shown that strength training has tremendous health benefits for all of us, women and men, especially as we age. Reverse sarcopenia – age-related loss of muscle that begins fairly early in life but really accelerates in later years — if you fail to do something about it. Prevent Type 2 diabetes and promoteÂ a healthy metabolism. Muscles store carbs and burns them for fuel when you move. The only other way your body stores carbs is with fat. Control obesity by burning those carbs as fuel. Muscle even burns fuel while at rest. In fact, strength training burns calories for many hours after you’ve finished. Reduce loss of bone density due to osteoporosis. Bones stay stronger that are put under loads like strength training exercises. Fat, frail and wasting away. Very scary stuff. No one wants those things. But why won’t we get off our butts? A recent study in the UK by Sport England with large numbers of women aged 14-40 found that fear of judgement by others was the biggest factor holding them back. Even though a large percentage — 75% — said they would like to exercise, the fear stops them. The two biggest fearsÂ were being judged by how they look and for their lack of skill in doing the exercises. Even experienced women said they feared being judged as being too manly because they were good at it and therefore unfeminine. And if you throw the fear of being judged on top of all that, it’s a lot to overcome. It’s no doubt pointless to lecture someone who feels that way. It’s not really the facts, in this case, it’s all about perception and feelings. If cost is a major issue, you can do this workout with just resistance bands. Quality sets of these can be purchased for around $30. The article also shows some additional equipment that is nice to have but not completely necessary. The best workout is the one you will actually do on a consistent basis. If you start with a simple plan in the comfort of your own home, you can avoid the concerns about judgement entirely. And who knows, once you’ve built up some confidence, you just might want to join a gym. If you’re a Baby Boomer, please start a strength building program. It’s never too late to begin. If you don’t want to be judged at the gym, try my simple plan at home. It will work. It may feel awkward at first, so start slowly and just stay with it. The benefits for you life can be huge with just this simple, fast and efficient workout plan. And to read more on the health benefits, please see this post. Please share your thoughts in the comments below. Or drop me a line, I’ll answer any questions you may have and help you get started: Brian@BoomerMuscle.com. Click here to get your FREE copy of the 5 Keys to Feeling Stronger – Right Away! You’ll get immediate access to a video and accompanying checklist, along with a report laying out the proof behind lighter weights being the best way to build muscle — especially for people our age.